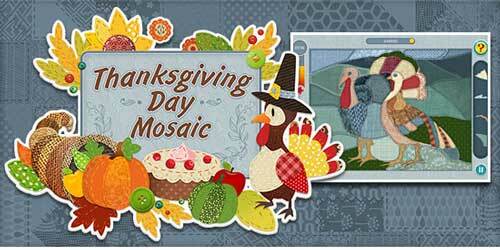 One of the most anticipated times of the year in U.S. is Thanksgiving Day. Roasted turkey and a huge spread of traditional dishes for family dinners as well as gift exchange, Thanksgiving is the day of celebrations of happiness, and family time. Families engage in fun games that includes various indoor group games, and online games for kids and adults. Let us find out the 7 best thanksgiving online games here. Most of them are online games for kids that help generate more knowledge about and significance of the Thanksgiving Day to kids. This is a free online game and can be easily downloaded on a PC, Mac, iPad, iPhone, and Android operating system. This game can be played by a kid or an adult. It's quite a fun game. The player has to arrange the mosaic pieces and solve a puzzle in order to be rewarded with three stars after the successful completion of each level with no mistake. This game is certainly a good brain exercise kit and enhances the cognitive ability of the person playing it. The player has to complete 20 levels to complete the game. They can also gain extra coins to get some extra time to solve a puzzle at one level. The types of materials used in different levels of the game ranges from Cloth, Paper, Gemstones, Stained glass, Wood, and Metal. Originally inspired by the Russian video game- Tetris, Hextris combines some of the best features of Tetris and match-3 gameplay. 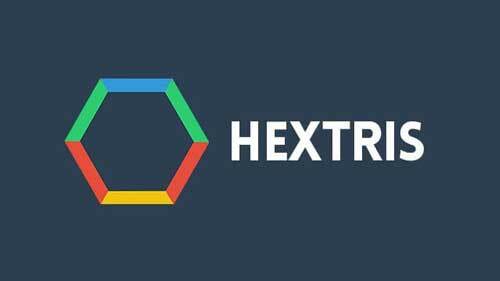 Hextris is another online puzzle game to help stack the blocks of hexagons in a color-coded manner. The player must prevent the colored blocks from the periphery of the grey exterior. Also, the player must follow the game's instructions properly to get the alignment of the blocks right, for the stacks must not form a crowded mess. As and when the three hexagon blocks are aligned in a color-coded manner, the blocks disappear and the player wins points. The game is compatible with PC as well as Android operating systems. This game is easily available on Google Play and if you're craving to play a nice Thanksgiving games online, Hextris is a great pick. 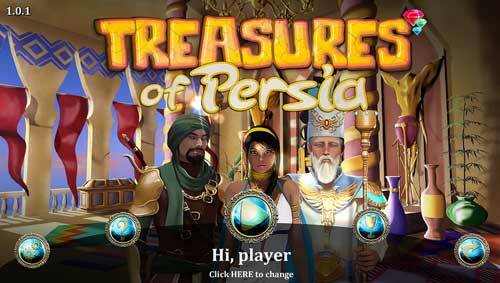 With a 4-star rating, Treasures of Persia is another online puzzle game. This game comes with a 6-page instructions structure and is quite an intriguing game for all age groups. It is a fun-filled adventure Match-3 game that includes 70 fascinating game levels to keep the player glued to their mobile or desktop screens. This is one of those Thanksgiving online games which involve the riddles of ancient Persia and Persian scriptures. The developers of the game have included several bonus points and memory games to keep the enthusiasm level high. Due to high-definition graphics, this game is truly a favorite amongst kids and adults. Papa's Cupcakeria is all about cupcakes. This is a cool multi-stage online game for kids. It is one of the Papa series games and engages the kid's culinary skills. 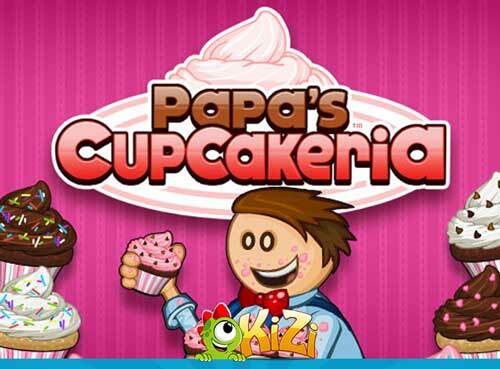 Papa's Cupcakeria is a fun game where the player has to take orders and fill the cupcake with the desired filling (as ordered). The player gets to decorate shop according to personal liking. This game is quite liked by kids and is also safe for them. It teaches the kids to use ingredients to make their own frosting. Papa's Cupcakeria uses the Flash platform. Additionally, it is quite interesting to see how the developers of the game could simulate the real combinations of cupcakes as ordered by customers. This is also one of the free online games easily available on PC, and Android operating systems. This is one of the most popular Thanksgiving games played online. It has more than 200+ players who have already played and liked the game so far. 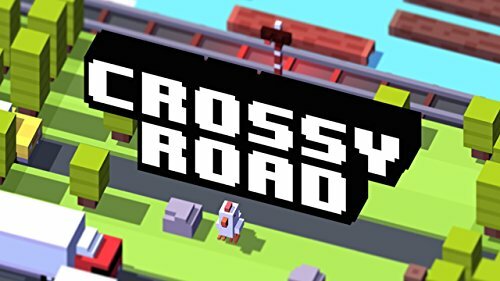 Crossy Road is compatible with Android operating system and can be played on the TV using a joystick. This game allows the player to select a character of their choice and use the simulated access routes, such as crossroads, rail tracks, rivers, etc. to move from one destination to the other. The game is readily available on Google Play and requires the user's permission for location access. There are embedded opt-in-videos for the user to earn points once they watch the ads. Rated 4.5 stars, this is a free game. 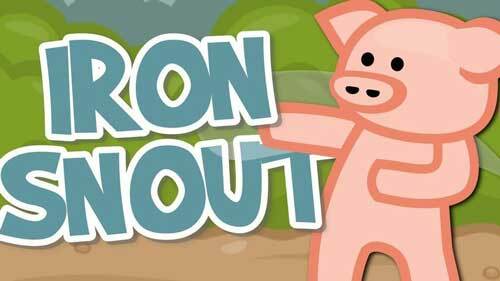 Another fun, enjoyable and action-packed Thanksgiving online game, Iron Snout, boasts of a 5-star rating from its users. It is a colorful game with a pink pig as the main character. This game can be really addictive as the player can't stop after one level. The game includes a series of fights with enemies (wolves) but quite hilarious (unlike other intense video games). Iron Snout is compatible with Vista, Windows XP, and other versions of Windows OS. The game can also be played on an iOS and Android operating system. It is a fast-paced game and hence interesting to play. 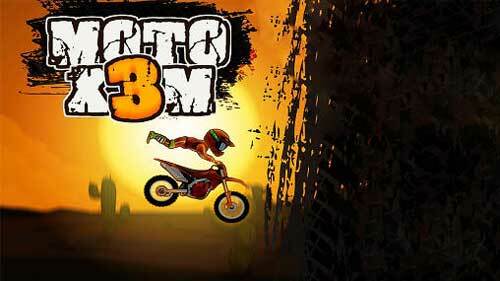 This is one incredible online bike-game which has gained quite popularity since it was released in the market. The player has to complete 22 levels to win the game. The player can choose his or her bike, helmet, and obstacle challenge from an interesting display of options available. The bike speed can be controlled using the arrow keys on the keyboard. This adventurous game is good enough to give an adrenaline rush to the player. It is a multiplayer game; hence the players can challenge each other to win points. Moto X3M is compatible with iPadwifi, iPhone3gs, iPhone (literally the entire iOS series). The game is also available on Google Play in Android operating system. Any online gamer, especially kids, can enhance gaming experience and enrich brain abilities from these Thanksgiving online games. To make what you play shareable to other social platforms or portable devices, you might as well use a screen recording tool, like Joyoshare Screen Recorder, to capture gameplays, make a tutorial and then upload it to YouTube, Facebook, etc. You can also export your recorded gameplay to Xbox, PSP, smart TV, etc. for later playback.